New book includes over 100 new cards! When designer and illustrator Brian White sends his kids to school, he packs a little something extra in their lunch. They sit down to eat and find a creative bit of quirky fun-lunch notes. Now you can share the whimsy with your kids. Brian has collected five years worth of lunch notes, ready for you to snip and share. I love my kids a ton, and I know you love yours too. Show them just how much and give them a fun surprise in their next lunch! 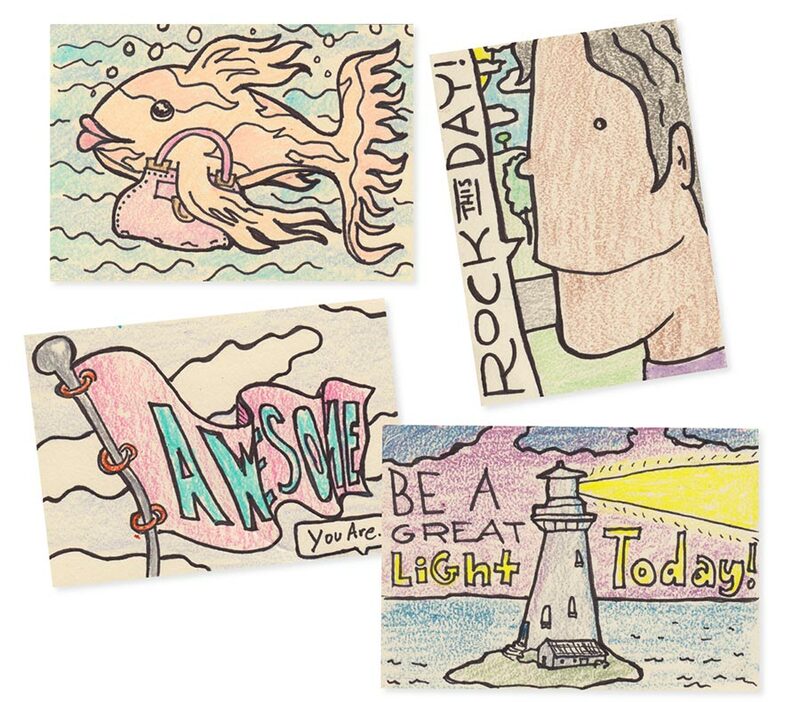 The book “I Love Lunch Notes” has 114 full color pages of lunch notes fun! All artwork in the book is originally drawn by hand in pen by Brian M. White and colored by crayon or inked. This book is a little off the beaten path. Keep your kids on their toes with games and puzzles, and fun unique artwork that will get them talking. 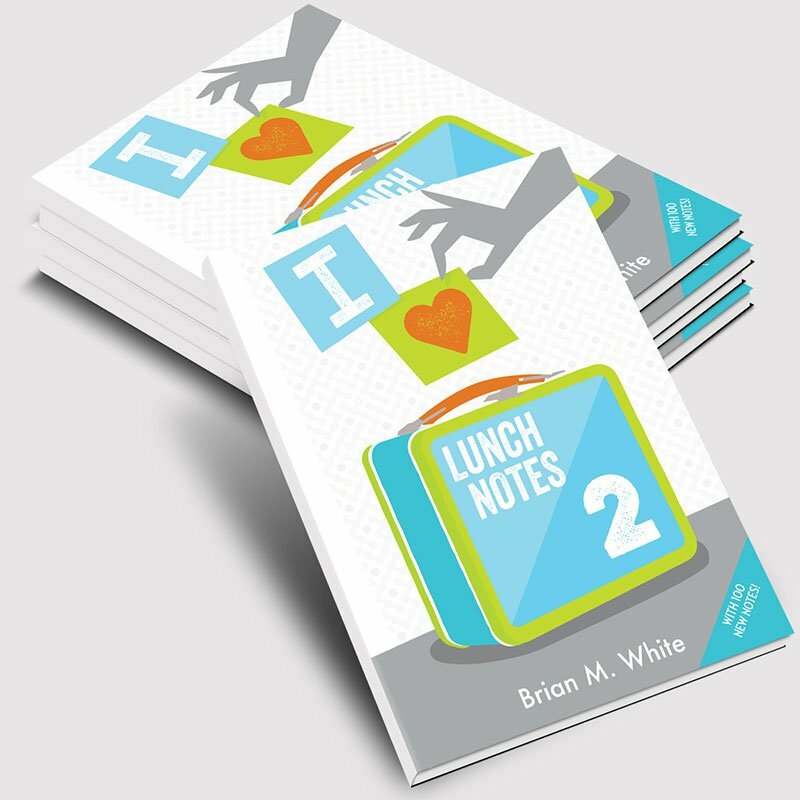 “I Love Lunch Notes” is a great gift and stocking stuffer. Perfect for friends and parents. Easy to ship and a fun conversation starter!